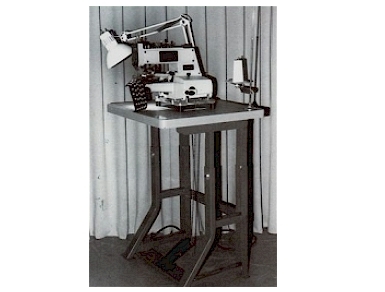 The Liebersew LS-1377 Hand operated machine on upright heavy duty table. Ideal for shirt laundry. Use lever on rear of head to switch between parallel or cross stitch to match original. Will sew all size buttons and can be used for 4-hole or 2-hole buttons. Sews 16 stitches. 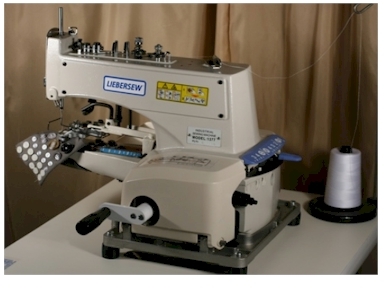 Simply start cranking, last stitch automatically raises the clamp and cuts the thread. Machine has built in trimmer.